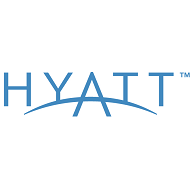 At Hyatt Hotels and Resorts, we believe in the power of meetings and events because nothing is quite so personal, quite so human, as meeting in person. A gracious handshake. A shared joke. A spirited debate. Sharing a glass of wine or a coffee. We believe that working together is more genuine – real people, in real time, in a real place. We believe that when the details of your meeting are graciously handled and the distractions are artfully managed, you become free to succeed. Every large meeting, conference, and convention should be inspiring and successful. That’s why Hyatt offers innovative and flexible spaces, stylish guest rooms and healthy food choices for your attendees. For those who are inspired by elegant, contemporary luxury combining understated sophistication with distinctive regional character, then look no further than our Park Hyatt Hotels. For larger conferences and corporate meetings our Grand Hyatt Hotels offer spectacular and distinctive spaces in major gateway cities and stunning resorts. For those meetings whose aim is to create energising experiences for people to connect and make things happen at business events and conferences will find our Hyatt Regency Hotels offer a full spectrum of conveniently located properties with outstanding facilities. Small meetings can lead to big ideas when you bring people together at Hyatt Hotels and Resorts. We make everyone feel more than welcome with impeccable facilities, including executive boardrooms and conference rooms designed especially for smaller groups. Our teams will ensure every detail goes the way you want, so you can focus on making great things happen. Smaller gatherings work perfectly at our boutique-style Andaz hotels reflecting the unique cultural scene and spirit of the surrounding locale. From swift check-ins, food that feeds the mind and body, and plentiful inspiring spaces for conversation, you can be confident that our Hyatt Regency Hotels will look after every detail. If your attendees are flying in from all over the world, our Hyatt Place properties bring people together for small corporate and executive meetings with a fresh, purposeful and friendly stay experience featuring a select range of services. Our Park Hyatt Hotels provide relaxed and personalised luxury for more intimate board and executive meetings. Whether it’s a brand launch or celebrating the final deal our professional staff will take care of every detail imaginable – from flowers to music to everything in between. Whether it’s a small, intimate gathering or a lavish affair, you’ll feel more than welcome with our stunning facilities, idyllic settings and excellent food. We believe there’s nothing more important than bringing people together in an unforgettable fashion. When the finer details truly matter, our contemporary and sophisticated Park Hyatt Hotels will ensure a rare and intimate occasion for those very special moments. For clients wishing to orchestrate events that show the best the world has to offer our Grand Hyatt Hotels will provide an abundance of options and possibilities. Our boutique inspired brand Andaz creates fresh and stimulating celebrations, reflecting the local culture of the area. Our Hyatt Regency Hotels offer tailored and unique experiences to foster connections for all occasions. In a Hyatt world we believe in outstanding occasions and events.